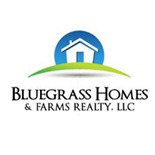 KY Homes and Real Estate - The Real Estate Experts in Louisville area and surrounding Counties, Henry, Oldham, Trimble, Shelby, Spencer, Builitt, Shelby and Jefferson County. Are you having the 7 year Itch? Did you know the average typical homeowner sell their home every 5 to 7 years. Has your home value increase in value? Feel free to use our website for updated market conditions in your area NOW and FREE! Updated: Apr 18, 2019 10:22:am.